Pride and Prejudice and Zombies opens tomorrow! Pride and Prejudice and Zombies. Via IMDB. 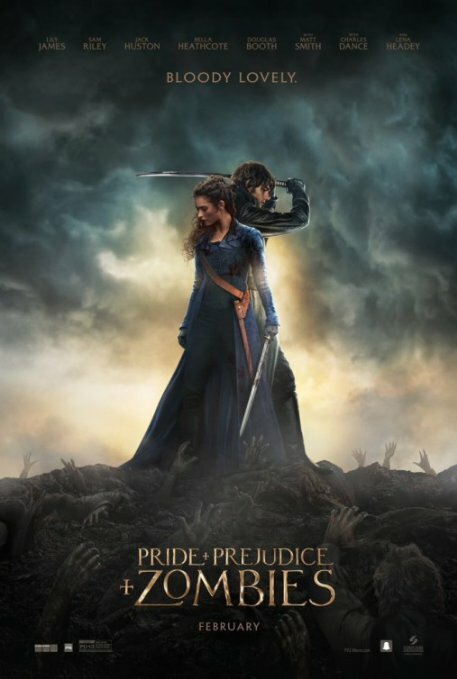 I know nothing of the 2009 novel by Seth Grahame-Smith, but I do love some of the movie adaptation’s stars: Lily James as Elizabeth Bennet (James is no stranger to elegance based on her work in Downton Abbey) and Matt Smith (of the 11th Doctor fame) as Mr. Collins, and, finally, Charles Dance and Lena Headey (most lately, in genre interest, of the Game of Thrones excellence) as Mr. Bennet and Lady Catherine de Bourgh. Ugh, pretty gruesome. Then again, it is a truth universally acknowledged, that to see and enjoy Pride and Prejudice and Zombies, one must be in a suitable frame of mind. 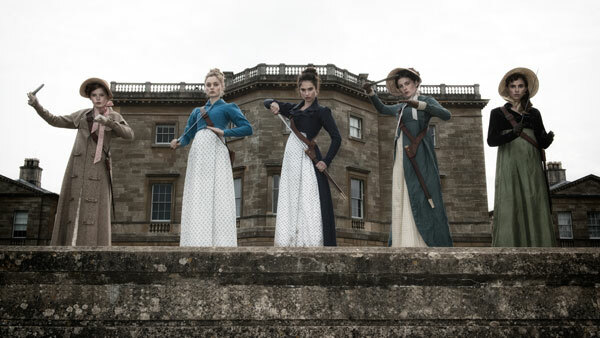 Bennet sisters in Pride and Prejudice and Zombies. Via Showbiz Junkies. 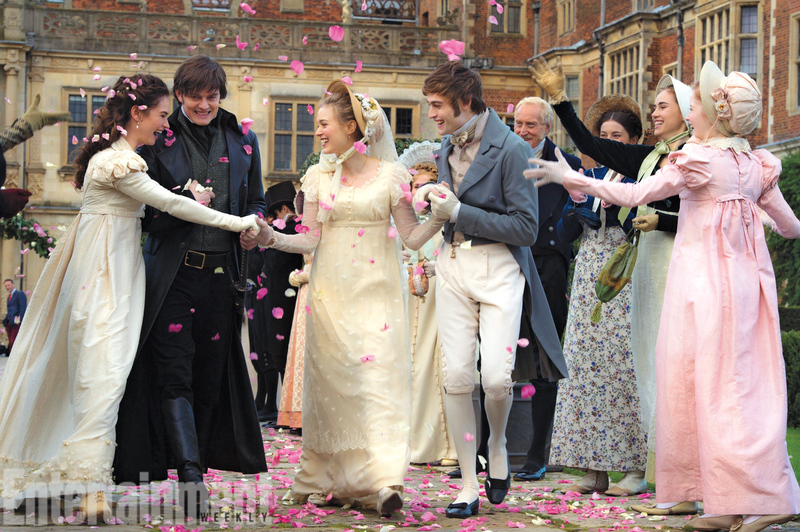 Double wedding in Pride and Prejudice and Zombies. Via Entertainment Weekly. Images: Poster via IMDB. Bennet sisters by CTMG Inc. via Showbizjunkies. Double wedding by Jay Maidment via Entertainment Weekly.